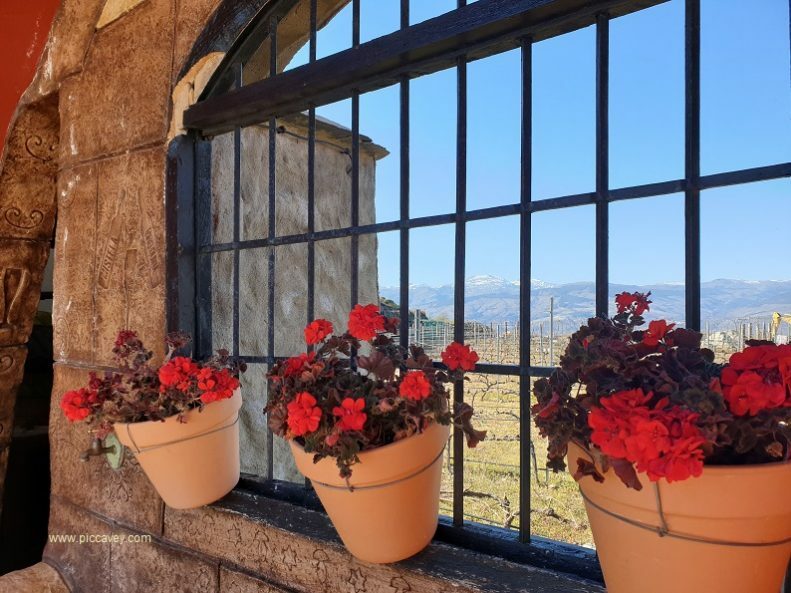 The province of Granada has a range of climates, from the snowcapped Sierra Nevada mountains right through to the Costa Tropical. A perfect all year round destination as these Granada beach resorts have average winter temperatures of 15ºC. Amongst all the Spanish Costas, the Costa Tropical is one of the less developed resorts. This stretch of Andalusia coast remains authentic and not as built up as other seaside places. Where is the Costa Tropical? South of Granada city, the coastline of Granada is called the Costa Tropical due to its mild climate. There are 75 kilometres of coastline (just under 50 miles long) to enjoy on this lesser known Spanish Costa. The `Tropical Coast´ is a fantastic location for watersports and also for discovering the local history which goes back to the Bronze age. Phoenicians, Romans and Arab settlers have left archaelogical remains in this area which you can explore. As well as the climate, the history and the sea views, I shouldn´t miss out the fabulous local produce. 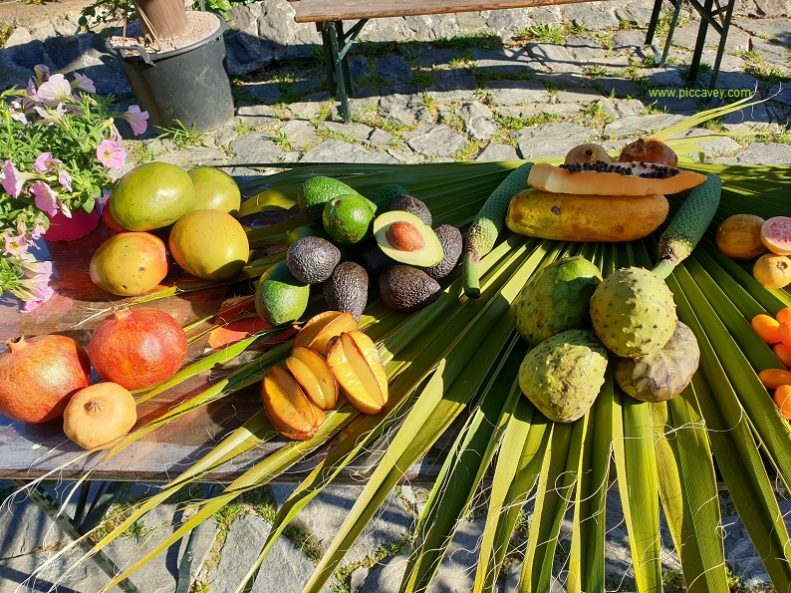 Tropical fruit grown in the region gives the coast its name Costa Tropical. 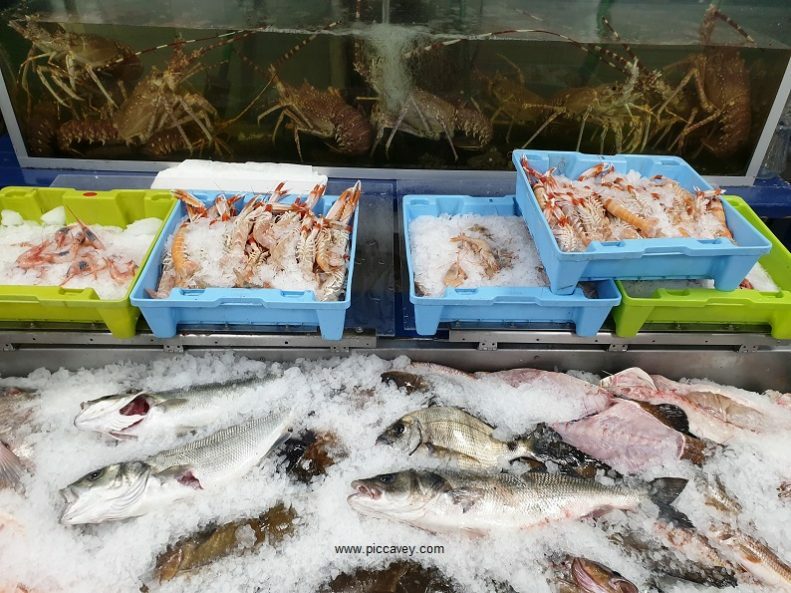 As with most coastal areas the local seafood is fabulous. Not only that they also have locally produced wines and the area even has its own Rum factory. The villages and towns of Costa Tropical are Salobreña, Almuñecar, La Herradura, Calahonda and Velez de Benadualla. Motril is the largest town in the region. Inland locations such as Murtas, Jete, Los Guajares, Polopos, Lújar, Otivar and Albuñol make up part of this Costa Tropical community. Motril is the second largest city in Granada province. With a population of over 60,000 its 69 kms from Granada, thats 43 miles. This is the main city on Costa Tropical. The beach resort here is called Playa Granada. Connected by road the A-44 motorway, the local bus service ALSA also connects the coast to the city with buses leaving throughout the day. Motril has an significant port for cruise ships, ferries and cargo. Routes to Tangiers, Nador and other North Africa destinations are popular with passengers. For Cargo trade routes to the middle east, Canary Islands and even further afield sail from here. The city has a shopping area around the streets of Calle Nueva and Calle Cuevas. Some are pedestrianized. 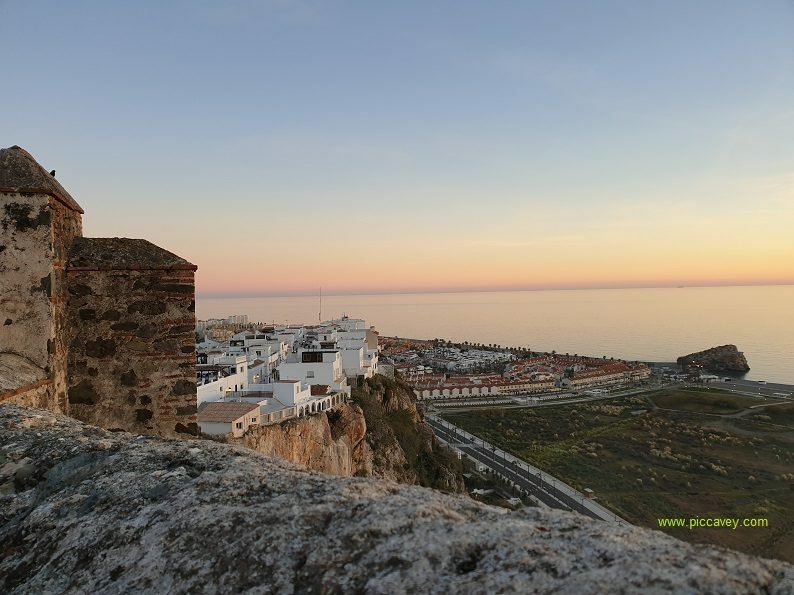 In Almuñecar one of the most impressive examples of local history is Castle. Castillo de San Miguel dates back to the 7th Century. Established by the Phoenicians, it has been restored over the years. The views from the top over the coast and town are fabulous. Well worth the hike up the hill. Located between two rivers and on the coastline. This vantage point was a powerful one for the miltary to control the fortress and city. The Majuelo Park is also home to the Salting Factory which dates back to Roman times. Sturgeon and Tuna were the favourite fish for salting in these pits all those centuries ago. Sexi was the original phoenician name for the town. The locals are still known as Sexitanos today. To protect the area watchtowers were built along the coastline. These towers were there to prevent pirate attacks. Communication along the coastline was by smoke signals which proved very effective. In 1764 the towers were reinforced and improved as Spain was defending itself from British attack at the time. Today 9 watchtowers and the castle still stands, dating from 16th – 18th centuries respectively. Xalubina is the old name for the white town of Salobreña. 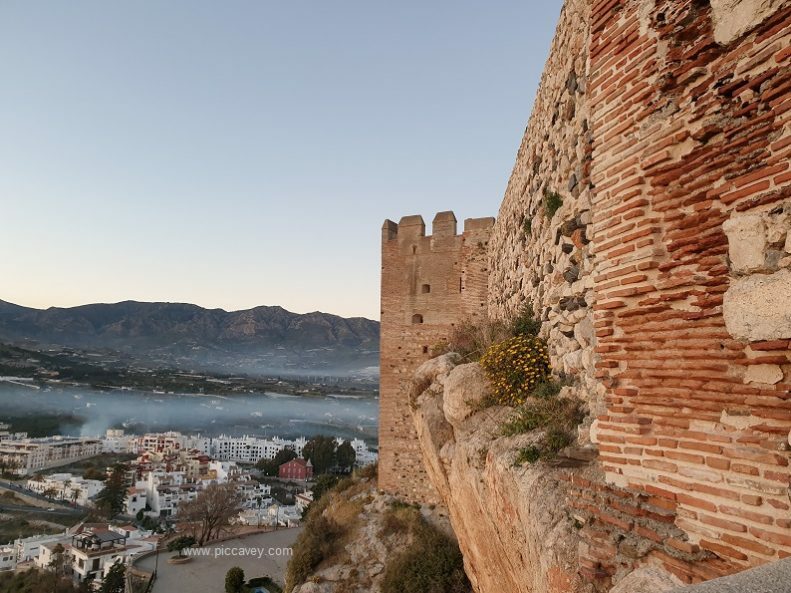 This quaint white coastal town is topped with another 10th Century Castle. This Moorish fortress makes it well worth the hike up the hill. The views from there are endless. It was also the summer residence for the Nasrid Kings, who lived at the Alhambra Palace in Granada for the rest of the year. The old town is a maze of whitewashed streets and plantpot filled balconies. This street below caught my eye as I wandered through the town on my way back down from the castle. 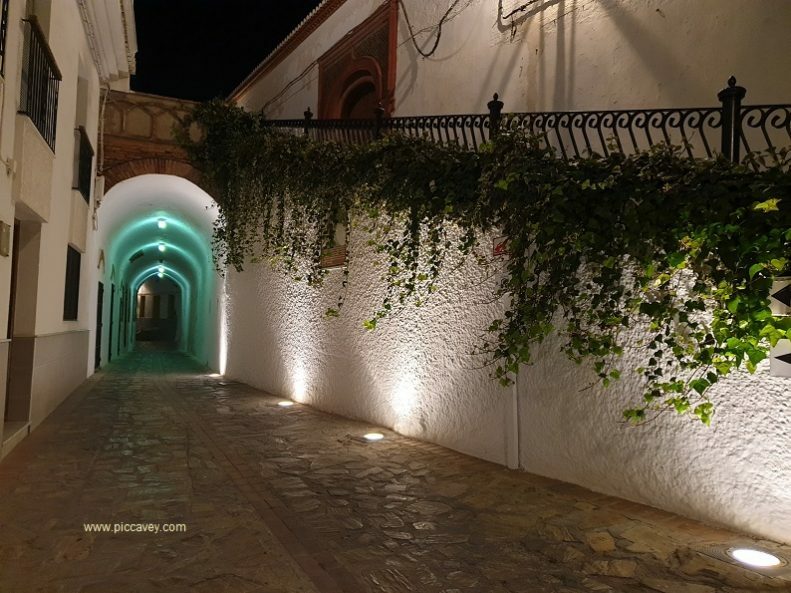 It´s worth taking a stroll down and getting lost amongst the narrow streets of the Albayzin quarter of Salobreña. 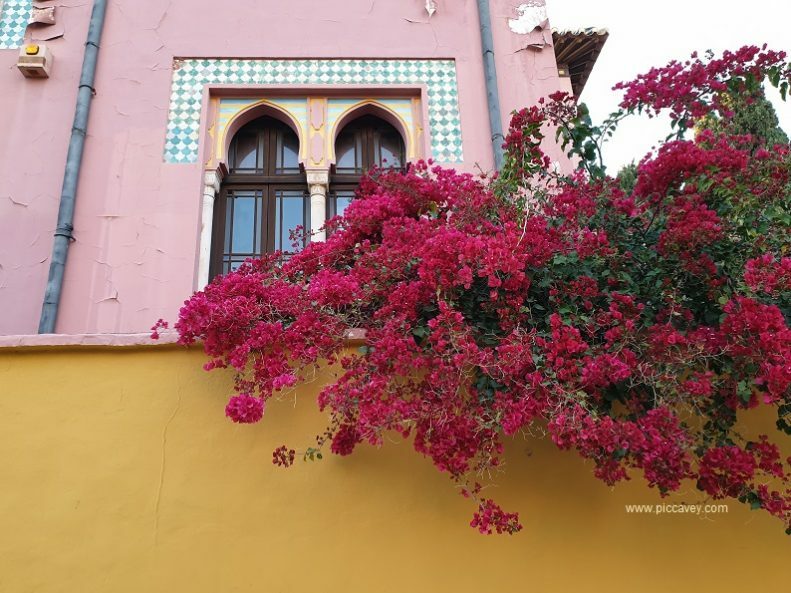 You will come across cute squares, the odd tapas bar and some gorgeous houses decorated with flowers and ceramics. Some of the typical dishes and local produce that you should look out for when you visit the area. Quisquilla de Motril is a local shrimp. Plesionika edwardsii is found in the marine area around the Granada coast (and Almeria) slightly smaller than Camarones they are also sweeter. Papayas, Mango, Chirimoya & pomegranates are all grown locally. Avocadoes are also grown along the Costa Tropical too. Many restaurants have Tropical salad on their menus, so you can taste some local fruits as a starter. Espeto the typical way to enjoy fish on this part of the coast. You can see old fishing boats along the beach with ashes in. The fresh fish and octopus are prepared on stakes on put onto this bonfire style barbecue. Local Rum, Ron Montero has been produced from Sugar cane grown in Motril and Salobreña for many years. This excellent quality rum can be purchased in most of Spain. 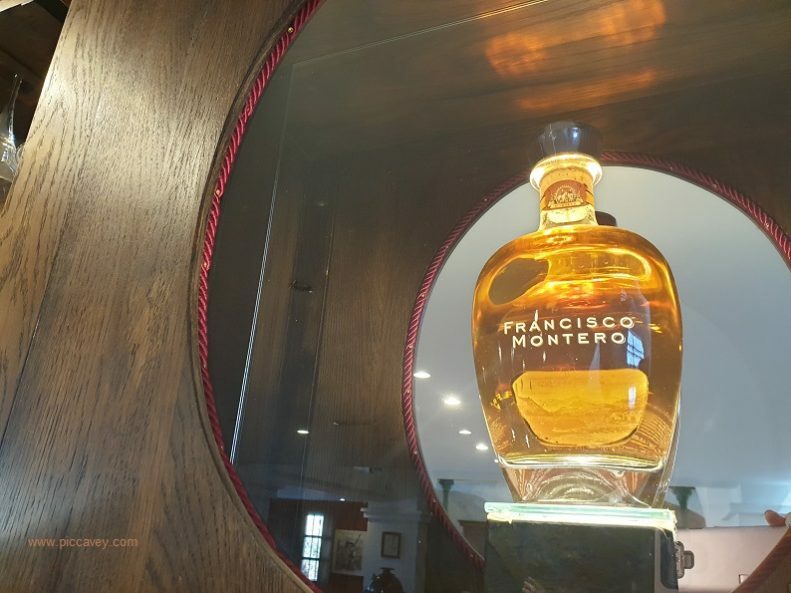 Ron Montero has a white version, the traditional one and a special 50th anniversary limited edition matured in American oak. 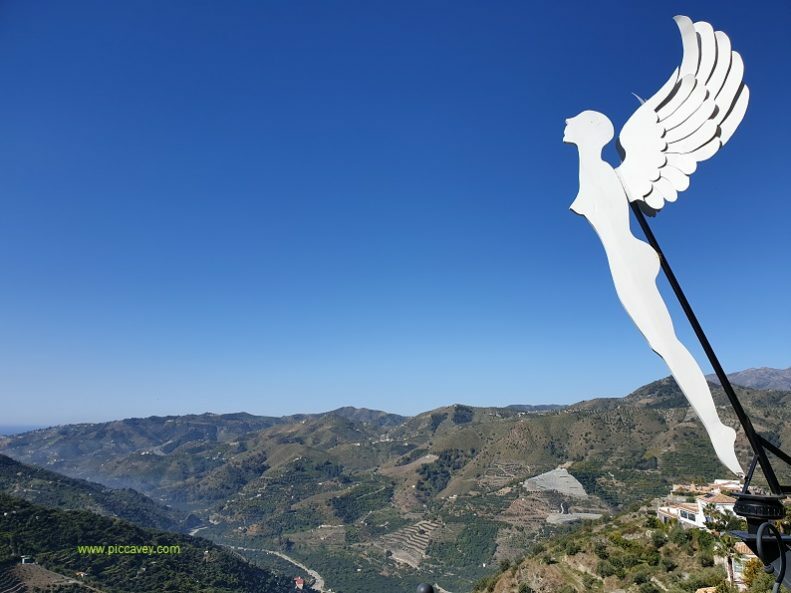 (Seen below) The Rum factory in Motril is open for visits. Guided tours are done in Spanish and English language daily. Look out for the Pionono cakes which are typical in Granada. These sweet cinnamon rolls with a custard style topping are made slightly different in Motril. The Palomares Borthers make them with local Rum. Find them at Pasteleria Palomares is on Avda. Salobreña, 10, Motril. This beach hut restaurant is open from midday until the early hours. You can watch the sun go down while sipping a mojito or have lunch watching the waves on the beach on a cushioned wicker chair. I ate there in March 2019. (photo above) The whole meal was delicious, but I especially enjoyed the Chirimoya Flan dessert. I want to go back to Sunahra Beach Club sometime as they had some delicious looking burgers too. 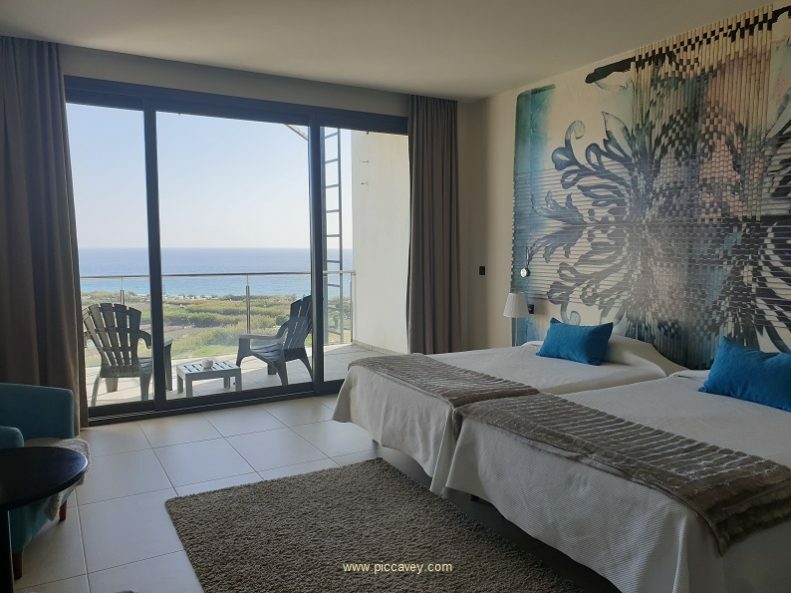 Located in Salobreña, just off the main coast road. Rste Miba boasts stunning views over to the old town. The food is contemporary cuisine and done to a very high level. A refreshing change from the fried fish thats so typical on the coast. Here I tried a refreshing tomato and cucumber salad to start, Corvina in a lemon sauce, and a chocolate mousse for dessert. This winery is high up from the coast on the very edge of the Costa Tropical region. 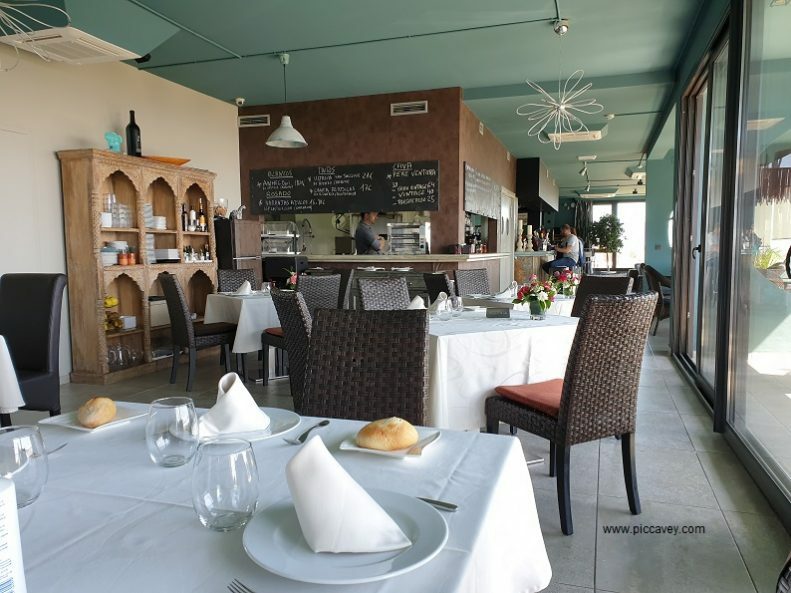 Located in Murtas, on the wine route it is a great place to head out for the day for lunch. Portions are enormous. Their speciality are barbecued meats such as Chorizo, pork loin and steaks. This countrystyle dining room is a comforting place to eat out at the weekend. Book ahead as it gets busy. 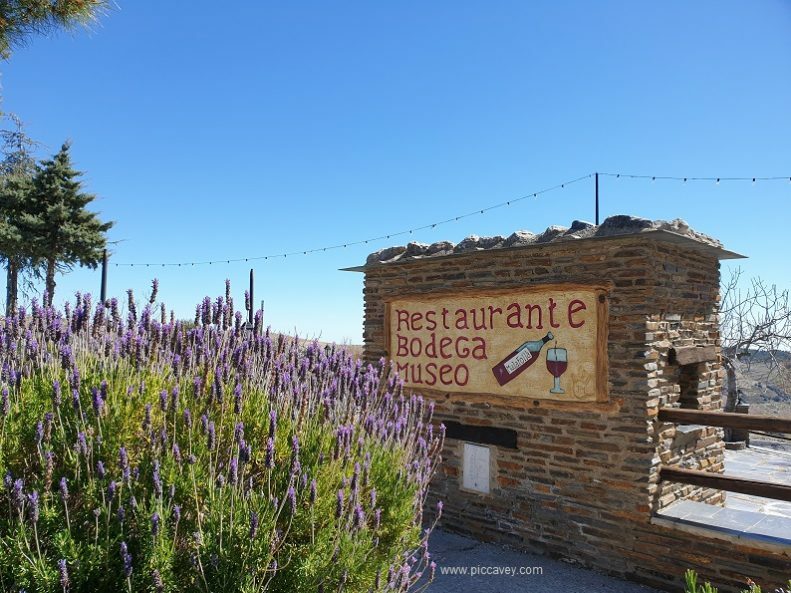 As well as the restaurant it´s a vineyard so you can taste wine or buy wine and local specialities in the shop on their grounds. This family business in Motril has be trading since 1960. Probably the best fish restaurant in the area the ultra fresh seafood is on display as you walk in. Set up like a market stall it grabs your attention before you are seated at your table. Here I tried a delicious tropical salad. Locally produced fruits with lettuce and olive oil. Followed by some delicious grilled fish. In Summertime they do the espetos outside on the terrace. It gets pretty busy so if you go in July or August i´d recommend booking your table. 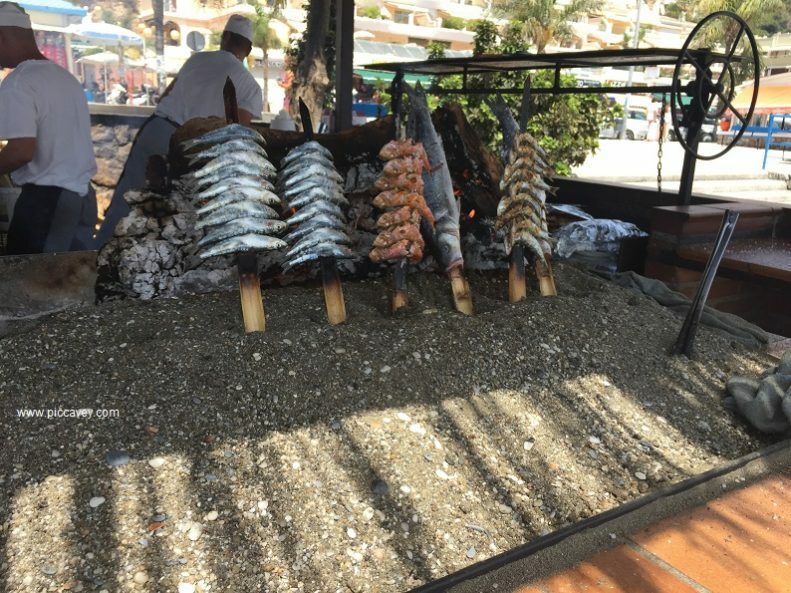 This restaurant is right in the town centre of Almuñecar, a short walk from the beach. 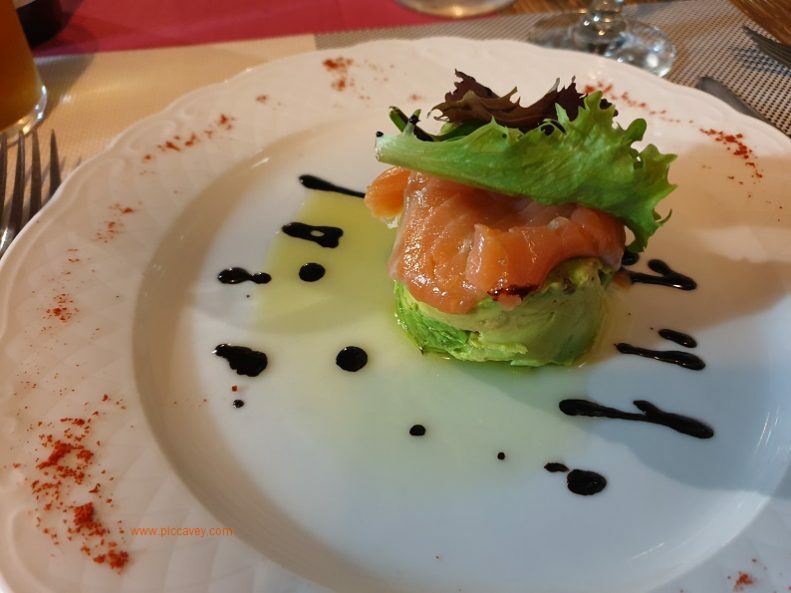 The have Flamenco performances in the evenings and serve local dishes such as the one shown above, Salmon with local avocadoes. It was a quaint little place with friendly service. 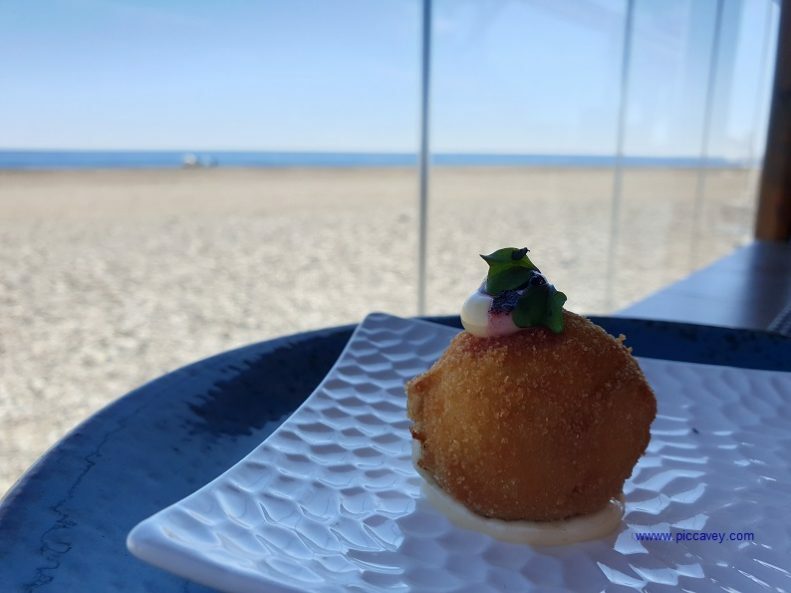 On the seafront in Salobreña, Restaurante Verdejo serves traditional food and seems to be very popular with the locals. All the dishes I tried here we delicious, the fried fish (cazón) was so fluffy and fresh. As the temperatures in the part of the world are mild all year around, you can visit anytime of year. Local festivals are celebrated throughout the year. However the middle weeks of August are very high season and coincide with the Local festival. Day of the Virgen del Carmen is celebrated on July 16th in both Almuñecar & in La Herradura. A procession of the Virgen in boat and on the beach, accompanied with a firework show and other festivities such as gastronomic and musical events. Jazz on the Coast is held Mid July. Live concierts are held in Almuñecar´s Parque El Majuelo. Celebrated in the summer season this festival attracts important jazz musicians. The castle makes a dramatic backdrop to the stage. 15th August in Almuñecar there is a huge firework display on the beach. This coincides with the local festivities of Virgen la Antigua. During the whole week there is a funfair and different activities. As Spain has a national Bank Holiday on 15th August it will be very busy. (difficult to park, hotels are full etc.) So if you want to be there on these dates plan ahead. International Classic Guitar Competition and also the Andrés Segovia composition Competition. Entries are sent in each November. Then the competition actually takes place during the first week of the year. This annual event attracts leading classical guitarists under 35 years of age from around the world, promoting the study of guitar music and well as commemorating the Andalusian virtuoso guitarrist Andres Segovia. A fun activity for those looking for something more sporty is the Canyon jumping activity on the Rio Verde. You can choose the level of difficulty. The route reaches Almuñecar. This is bascially hiking down a knee deep river and jumping over waterfalls. Some parts of the routes are more challenging than others. 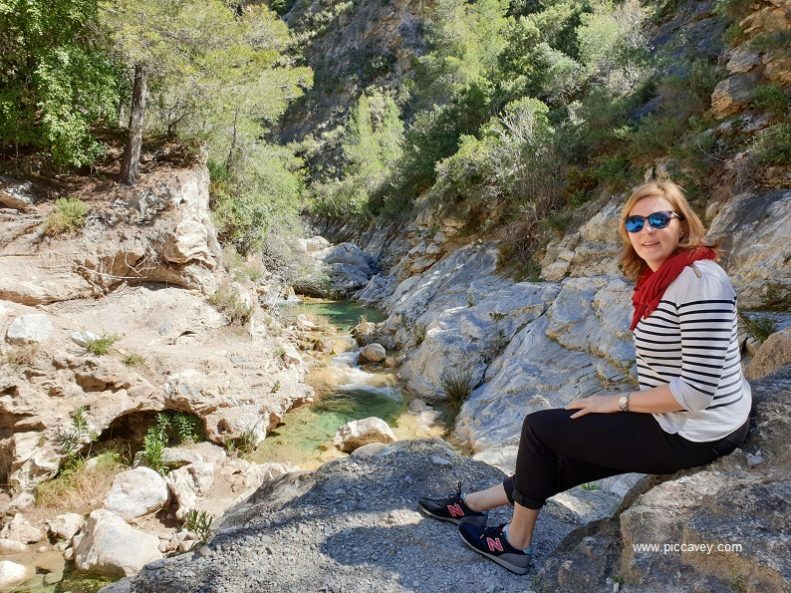 The surroundings of the Sierra de la Almijara make a perfect outdoor setting. 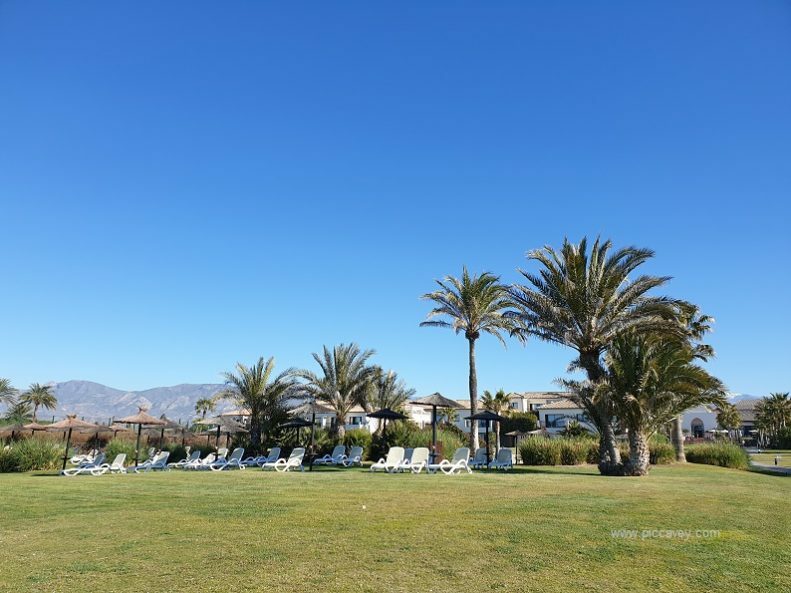 Los Moriscos Golf Club is a stunning seaside course. Just outside of Motril this 18 hole course has a driving range, club house and a lovely restaurant. Underwater diving in the clear turquoise waters in this area is particularly good. The best dive sites are located around Punta de la Mona. There is plenty of marine life to see when you dive or snorkel. There are also some underwater caves and grottos to explore with a guide. Rent a boat (with or without capitain) to sail around the Costa Tropical. 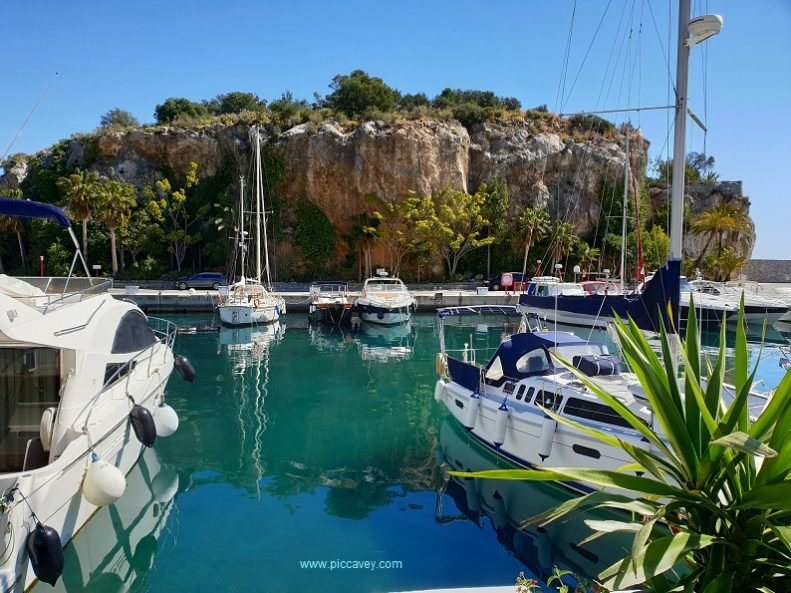 Choose half day or full days out from Marina del Este. Companies like Alquiler de Barcos Elite basaed in the harbour can arrange private activities. Sunset is a particularly good time, and sometimes you get lucky and even spot dolphins near to your boat. In March when I went out in a private boat charter, we could see the snow capped Sierra Nevada Mountains (South face) from the sea as the sun warmed our faces. Quite a surreal experience. It didnt seem possible that we were at 25C and could see so much snow. 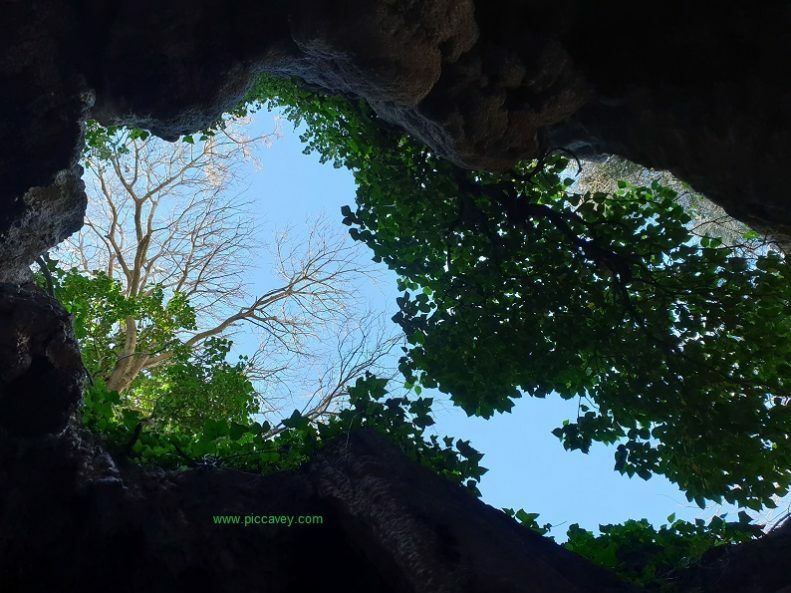 Maro Natural Park is a protected area. These waters are particularly clear and good for snorkelling and swimming. 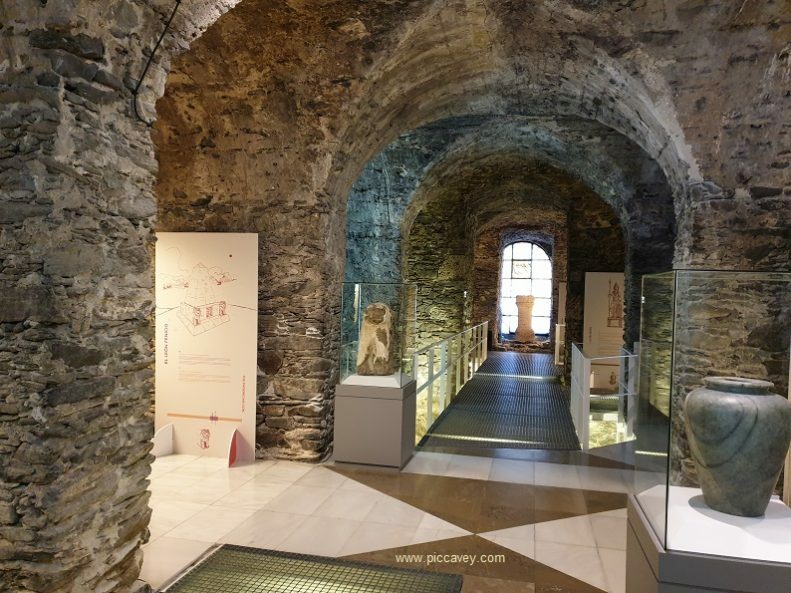 The Cueva de los Siete Palacios in the old town of Almuñecar is a museum with lots of ancient exhibits. Pieces span the ages with the most impressive being the Apophis Canopic Jar. Dating back to 16th century BC, this Egyptian jar is the oldest written object on the Iberian Peninsula. It probably reached Almuñecar via the sea trading routes. With such a moderate climate along the tropical coast, its no surprise that they have some stunning gardens to visit. 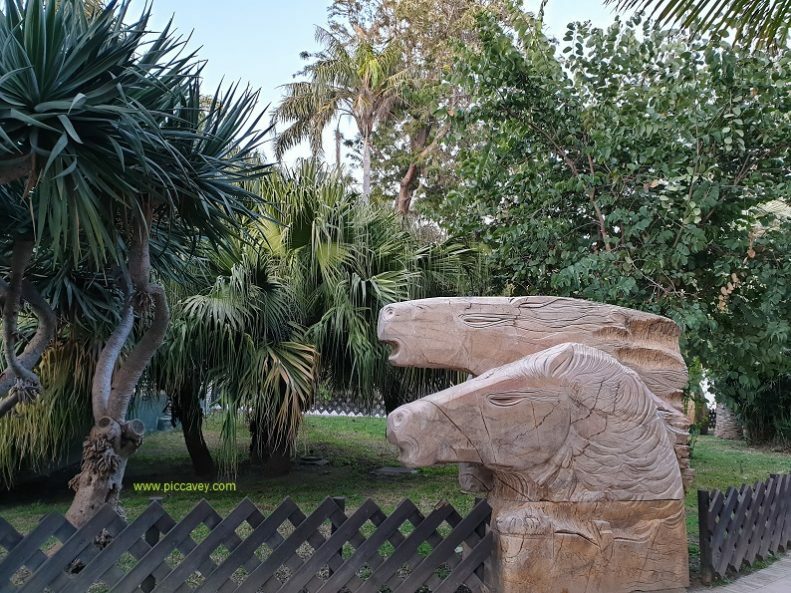 Parque Botanico El Majuelo in Almuñecar – This park in the centre of Almuñecar has beautiful modern sculptures and lush plants. 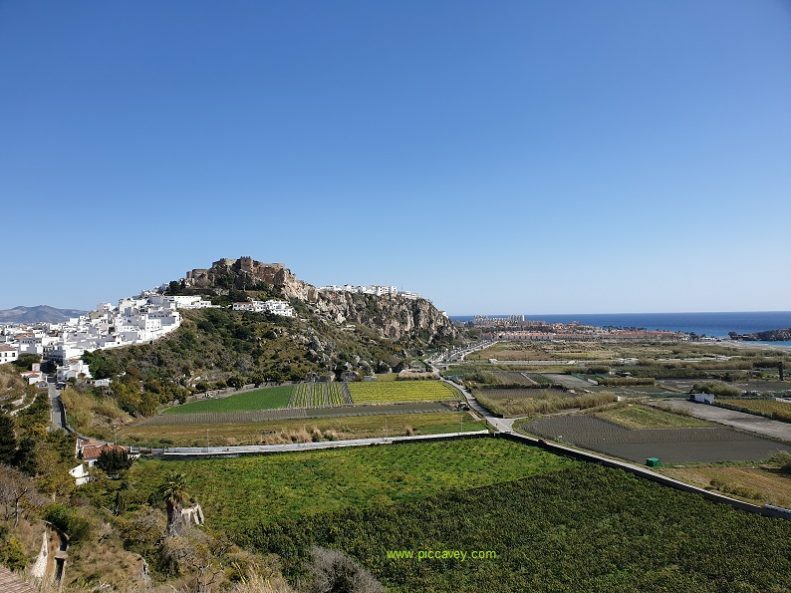 It also has views to the San Miguel Castillo and Roman Fish Salting Factory ruins. Free to go in, its open daily from 8am until 10pm. There are small shops in the park, selling local handicrafts. Bonsai Garden in Almuñecar on C/ Andrés Müller 2 is open from 10.30h to 2pm and 5pm to 8.30pm with over 200 bonsai trees on display to admire. Depending on the ages of the children there is a good offer of family activities in the area. Aqua Tropic Almuñecar is a small water park. Located on the Paseo Vellila just off the beach. Bird park Loro Sexi has over a thousand birds to see such as Parrots, swans or ostriches. Acuario Almuñecar located right in the town centre. Children will love being able to touch the rays and starfish at the end of the visit. Windsurf La Herradura on La Herradura beach offer Stand up paddle classes, windsurfing and kayaking activities. Perched on the side of the town you can see the castle and old town from the hotel and gaze over the coastline as the sunsets. 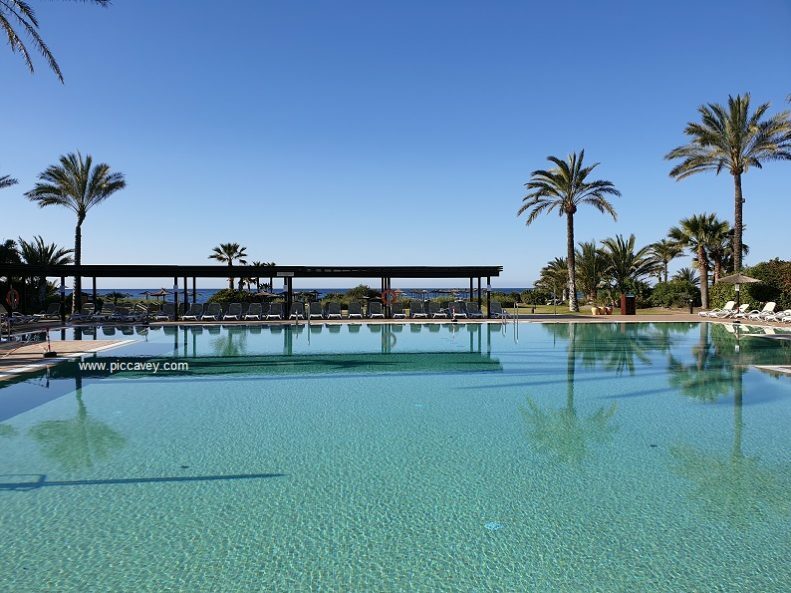 This large hotel is opposite the beach in the Veililla area of Almuñecar. It is a great option for families. Plenty to do but in a quieter area of Almuñecar. This resort set on the beach is a great option for families and golfers. With its own golf course and gardens leading out onto the beach at Playa Granada. This hotel in Almuñecar has a great pool area. 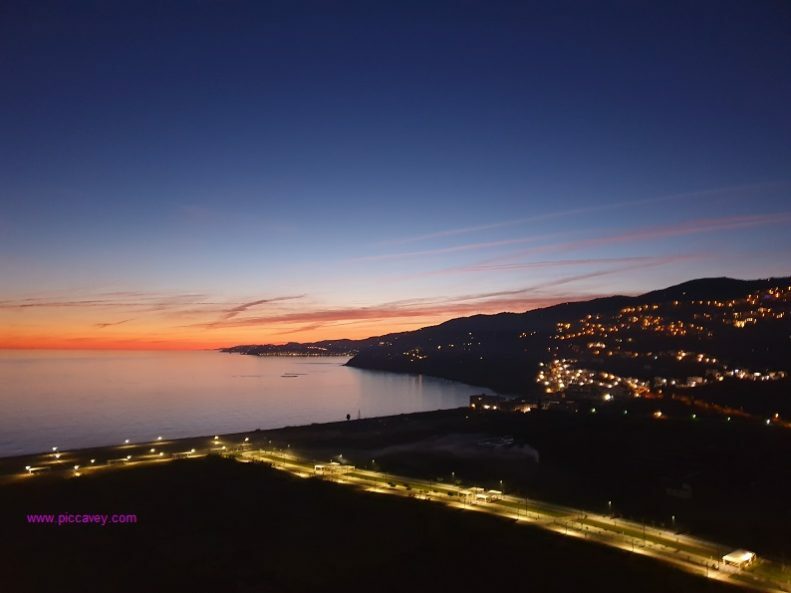 Located on the main road in Almuñecar the beach is a 15 minute stroll away. 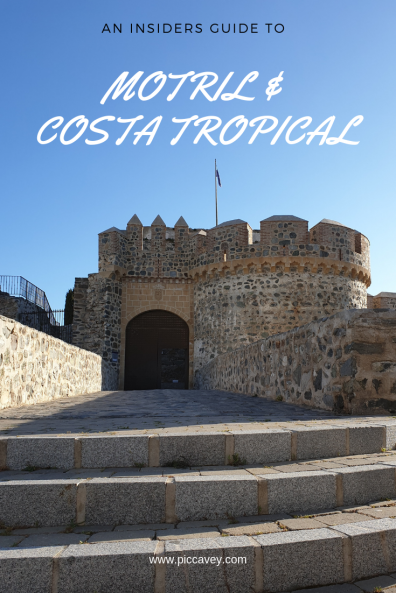 Disclaimer: Please note that I have visited Costa Tropical on a promotional trip and I have experienced all the activities I wrote about in this post complimentary. However, all the opinions in this article are my own and I would not recommend anything that I wouldn’t have enjoyed myself doing or think it was a great place to visit. This post contains affiliate links, which means that if you click through and make a purchase, I will receive a small commission. All thoughts, feelings and opinions shared on this blog and in this post are my own. Muy completo, lo tendré en cuenta en mis viajes a la costa. 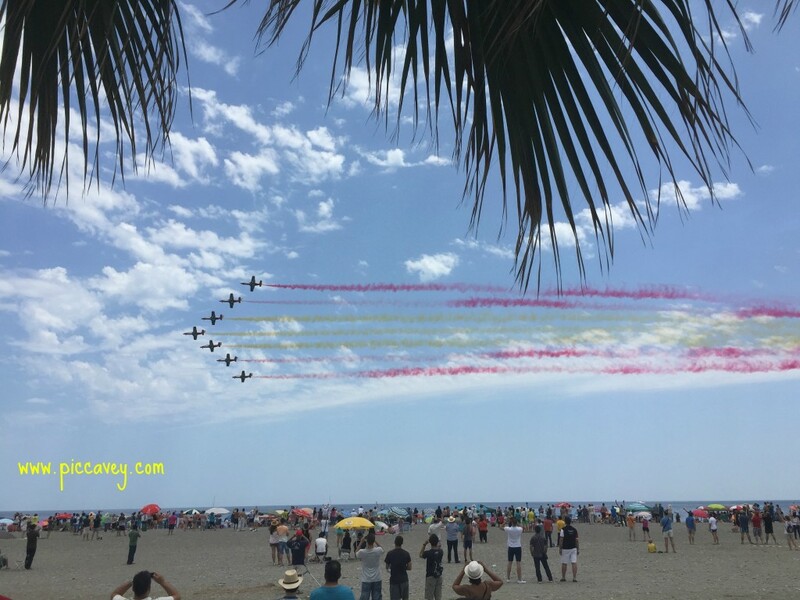 Would you like to receive regular information about these blogs on Spain from Molly? If so, please send us your email address. We will never send you spam or share your address with any other third party. Molly began writing about Spain in 2011. Based in Granada, Andalusia, Molly is especially passionate about historic sites and Spanish food. Living like a local in Spain since 1998, she is now fluent in Spanish. Molly enjoys sharing her travel tips and recommendations on this blog. 🌿 Heres a Sunday morning #longread for your perusal..
🥁 Good Friday Easter Procession. This has been celebrated on the streets of Tarragona since 1550.